ENDOR™ Arthritis Gel contains ingredients that are well tolerated and may be used as often and as much as required. ENDOR™ Arthritis Gel is a lubricating gel, that may improve joint mobility, reduce mild arthritic joint pain and muscular aches and pains. It also contains the basic ingredients to ENDOR™ active. If Symptoms persist, talk to your healthcare professional. In our blog you can find the list of FAQ about ENDOR™ Arthritis Gel. Please click here to read it. 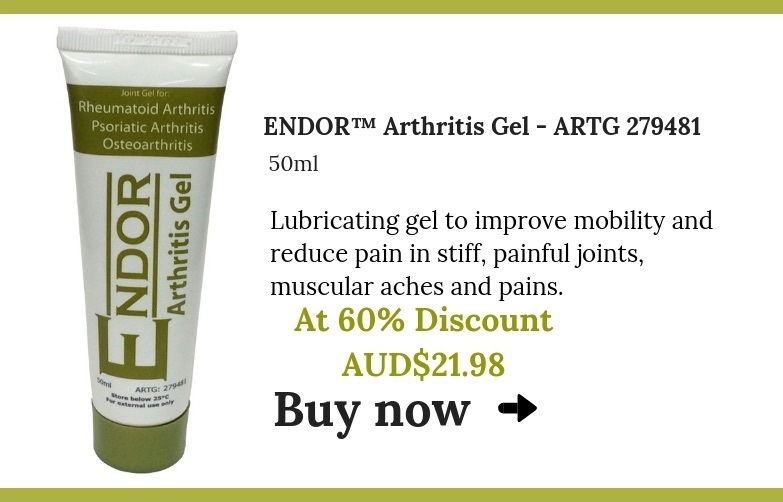 Apply ENDOR™ Arthritis Gel on the affected joints and gently rub in. You may feel a reduction in pain and easier mobility after continuous use for 10 days. Use as often as necessary. Over time you may need to use less of the arthritis gel to see a reduction in joint swelling. If Symptoms persist, talk to your healthcare professional. Aqua, Polyacrylamide, C13-14 Isoparaffin, Laureth – 7, Triticum Vulgare, Wheat Germ Oil, Glycerin, Sodium Citrate, Menthol, Dimethicone, Eucalyptus Globulus, Panthenol, Emu Oil, Phenoxyethanol, Benzoic acid, Dehydroacetic acid.